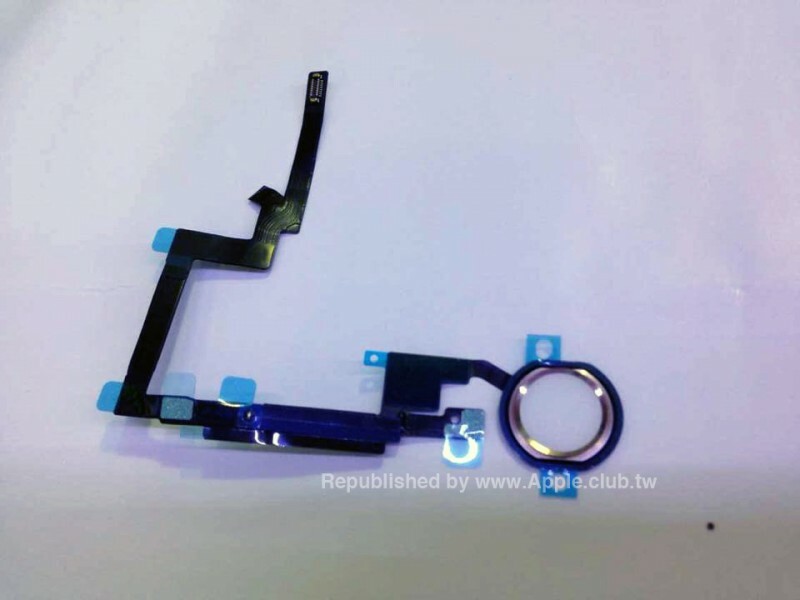 The home button flex cable appears to contain a space for a Touch ID home button, complete with the stainless steel ring. Previous reports claimed that Apple's forthcoming iPads would receive Touch ID functionality, and these newest pictures likely confirm that the feature will at least be on the iPad Air 2. Meanwhile, the logic board image also shows what may be Apple's A8 processor along with RAM chips and other components. Currently, it is unknown as to whether the A8 chip on the iPad Air 2 will be clocked at a higher speed than the A8 chips found on the iPhone 6 and iPhone 6 Plus. 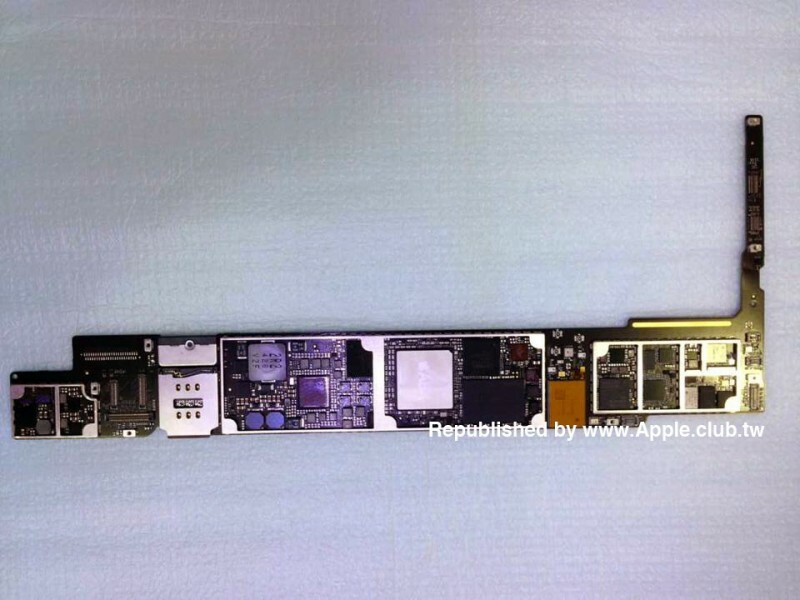 The logic board also appears to contain a noticeably different layout when compared to the board from last year's iPad Air. For instance, the SIM slot appears to be directly on iPad Air 2's logic board, while the component was located in a separate compartment for the iPad Air. 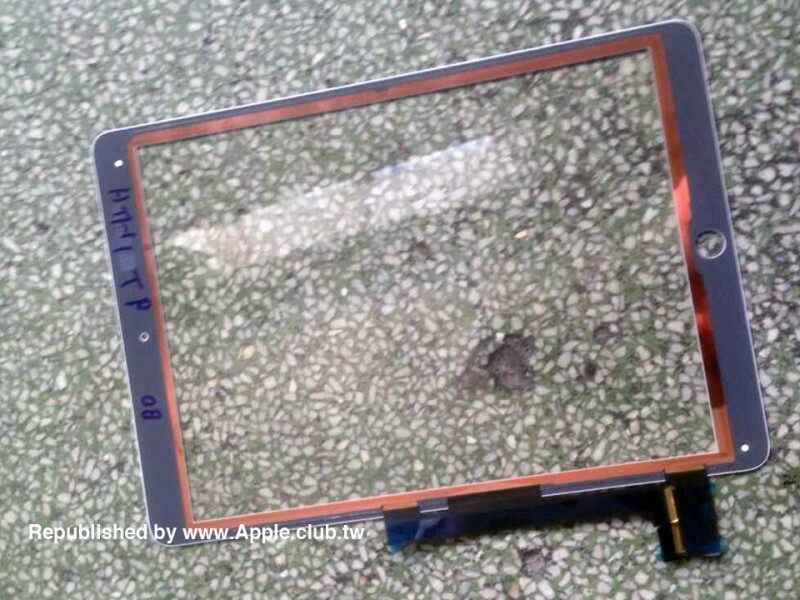 The front panel of the iPad Air 2 contains a more prolonged connector on its side and contains cutouts for the Touch ID home button and FaceTime HD camera. While the panel doesn't appear to be notably different when compared to the front panel for the iPad Air, some reports have claimed that the iPad Air will have an integrated display to make way for a thinner profile. 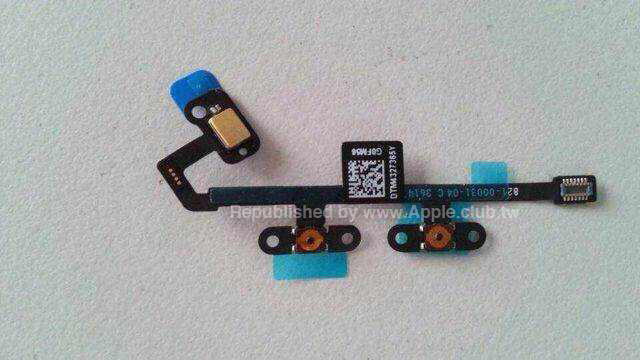 Lastly, the volume control flex cable shows the up and down volume buttons and what may be a microphone. With this layout, it is possible that Apple may be getting rid of the mute/screen rotation switch to further reduce the tablet's overall thickness. Apple is expected to unveil the iPad Air 2 alongside the next-generation Retina iPad mini at a media event in Cupertino, California next Thursday, October 16. Other reports have also claimed that the company will announce updated Mac Minis and updated iMacs with at least the 27-inch model carrying a high-resolution Retina display. Update 5:26 AM: As shown by forum user primordian, enhancing the contrast on the main chip reveals it to be labeled as an A8X. Apple has traditionally used "X" versions of its main chips with enhanced graphics for its iPads, but the company abandoned that strategy with the first-generation iPad Air, opting to use a regular A7 chip with the only difference being that it was clocked slightly faster than the version found in the iPhone 5s and Retina iPad mini. Your iPhone 6+ denial was more interesting. Frankly, I have never used the mute button on my iPad. Even for rotation lock, there are alternatives already built into iOS 8, so a physical button is not required. I could see the removing the volume buttons over time as they now have alternatives for that as well. Less mechanical parts means less things that break and also means less opening for dust or water to get in. In other words, it not just about thinness. Posts like this annoy the crap out of me. Just because YOU don't use a feature doesn't mean there's no one else in the world that DOES. I happen to like having the switch to lock my phone. It's CONVENIENT. God forbid things be easy and functional - because THINNESS is the ONLY thing that matters. no mac mini part leaks? A8X to support Retina HD? interestingly, it looks like from the spacing on the processor that there are 3 characters after the apple symbol ... and if you manipulate the image of the processor a little it looks like it is A8X. maybe they needed to boost the GPU for a 401ppi screen? On a forum of apple haters you ask if you're the only one? Strange. Annoyed? What path? Switch to what, android? If you think android is on par with iOS and won't have its own annoyances (software and hardware - gapgate?) ....well, good luck with your switch.